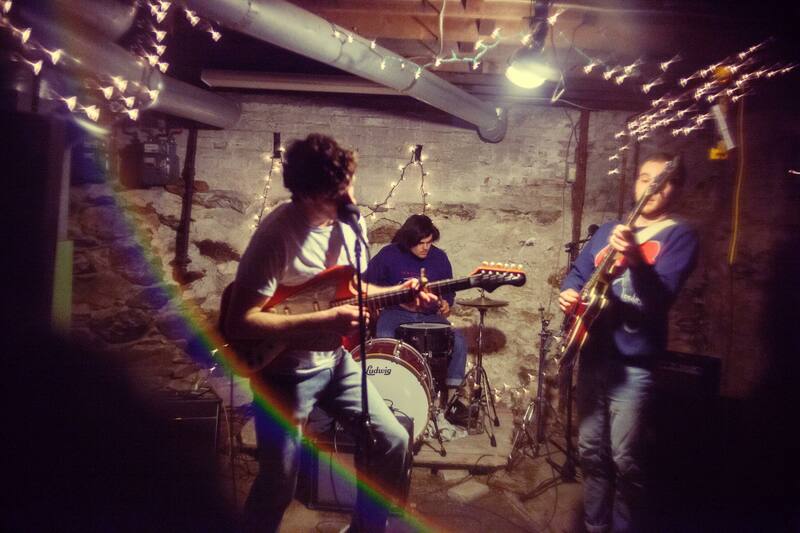 The Water Cycle, a DIY pop band from Boston, MA, was nominated by Boston Music Awards for New Artist of the Year – and for good reason. 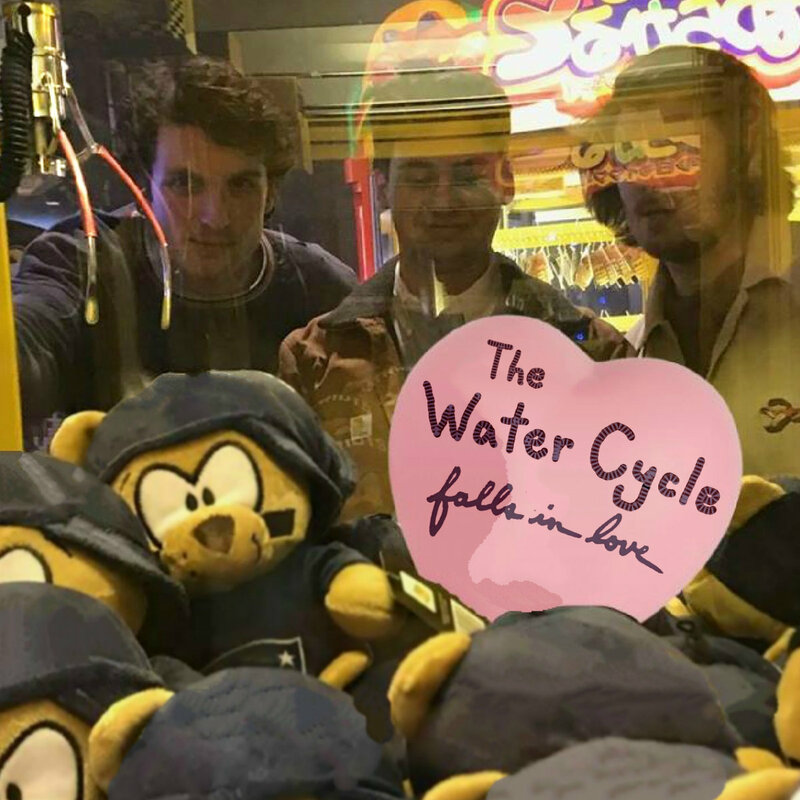 Jack Kerwin, Joe Kerwin, and Rob Capodilupo’s most recent EP, February 2018’s The Water Cycle Falls in Love, is as Allston Pudding‘s Kara Kokinos puts it all too well, “a fun little ode to romance with the purest of intentions.” Whether it’s veering towards lo-fi surf rock or a ’50s rock vibe, each song on the EP is a unique sound tied together with the color of romance. One of the most nostalgic songs on the record, “(You’re So Square) Baby I Don’t Care,” stands out as summer turns to fall and winter, and our “Summer Lovin’” romances begin to fade with the weather. It’s nostalgic in that you want to get up and swing dance even though you might never have (and don’t know how to), but also in the band’s dated lyrical word choice. There’s talk about “hot rod racin’,” and going to a “movie show,” amongst other things. You’re so square, baby I don’t care. The Water Cycle’s lyrics are sweet and paint a Grease-like picture in your head — one of romanticized love that has an urgency of adoration. “(You’re So Square) Baby I Don’t Care” specifically captures young love in its upbeat and repetitive driving melody and its immature, but accurate, sentiment that maybe such young love is actually just infatuation: An intense passion for someone who it might not make rational sense to love (but you just don’t care). “(You’re So Square) Baby I Don’t Care” creatively dances the notion of bubbly, impassioned, and potentially short-lived romanticized love into our modern day world obsessed with exploring love without facades. It’s refreshing to hear a love song that withholds painful, deep emotions and focuses on the playfulness of being head over heels for someone. The Water Cycle does not fail to remind us to stop taking everything so seriously, to enjoy someone for how they make you feel, and to dance a little every once and a while, even if it only lasts for 1:28. Coco Rich is a 22-year-old goof who recently graduated from Muhlenberg College where she studied English and Music. Originally from Seattle, WA, she is currently living just outside of Boston eating, writing and wandering.